We take the guesswork out of buying electricity. We identify the benefits & risks of Demand Response programs. We can build natural gas into your energy portfolio. Unified Energy is a full-service energy and utility consulting and procurement company. Our team of experienced advisors works closely with commercial, industrial and residential clients across the country to reduce their electricity and natural gas costs and mitigate their energy price risk. Based in Houston, with representatives around the world, Unified Energy has been at the forefront of deregulation in developing energy markets since 2008. As a natural extension of our clients’ energy procurement efforts, we offer unbiased and independent energy solutions to keep you in control of your utility costs. Managing your electricity procurement strategy is a full-time job. It takes a team of industry experts, like our team at Unified Energy, who follow the market and understand your options in real-time. Unified Energy develops cost-effective electricity procurement solutions. When used strategically, natural gas can be an important part of your energy management portfolio. And while it may be electricity’s biggest competitor, natural gas may offer sizable savings. We build dynamic pricing strategies for natural gas procurement. Our User Data Management System (UDMS) provides you with the tools you need to manage your utilities across your organization. UDMS helps you manage your utility cost, usage, demand, and other data to automatically generate reports to help identify savings opportunities. Demand Response programs allow utilities to reduce electricity usage in response to peak demand times, which stress the electrical grid and inflate wholesale electricity prices. We can help you determine if a Demand Response program is right for your company. 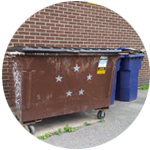 Most management teams simply do not have the time, resources or expertise to review their waste and recycling services. Through our Waste Reduction program, you can address the high costs of waste disposal and recycling and see up to 40% savings. 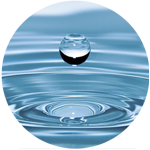 Water is truly one of our most precious resources. That’s why we’ve teamed up with ZennValve to bring you the company’s Flow Management Device (FMD), which can save water and reduce your water bills by simply managing your flow efficiency.